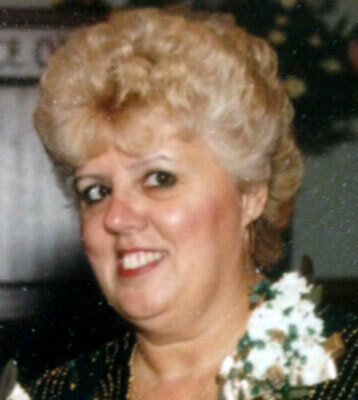 MARY B. SMITH AUSTINTOWN - Funeral services will be held Monday at 8 p.m. at the Higgins-Reardon Funeral Homes, Austintown Chapel, for Mary B. Smith, 68, who died Friday morning at home. Mary was born Feb. 24, 1946, in Newport, R.I., to Frank and Inez Mendonca. She most recently worked as a cake decorator at Giant Eagle in Howland. Mary was a member of the Immaculate Heart of Mary Church. She enjoyed cooking, baking, and card clubs. Most of all, Mary enjoyed spending time with her family, especially her grandchildren. Mary is survived by her husband, Francis D. Smith, whom she married Aug. 29, 1967; two daughters, Lonnie M. (Doug) Bobovnick of Salem and Melissa J. (Paul) Sutara of Austintown; three sons, Daniel R. (Julia) Smith of Boardman, William H. Fain of Austintown, and Joe Dean (Dawn) Smith of Hermitage, Pa.; a sister, Shirley Souza of Newport; a brother, Frank (Eleanor) Mendonca of Middletown, R.I.; 10 grandchildren; and three great-grandchildren. She was preceded in death by her parents and sister Connie Chamberlin.